Garlic scapes are the garlic plant’s flower stalks. They are removed so that the bulbs get the necessary resources to grow large. They bring a garlic note to dishes that is less pungent than the flavor given by the bulb. A slight herbal note accompanies the scapes’ garlic flavor. The unique flavor profile of garlic scapes can be preserved all year round if you store them correctly. 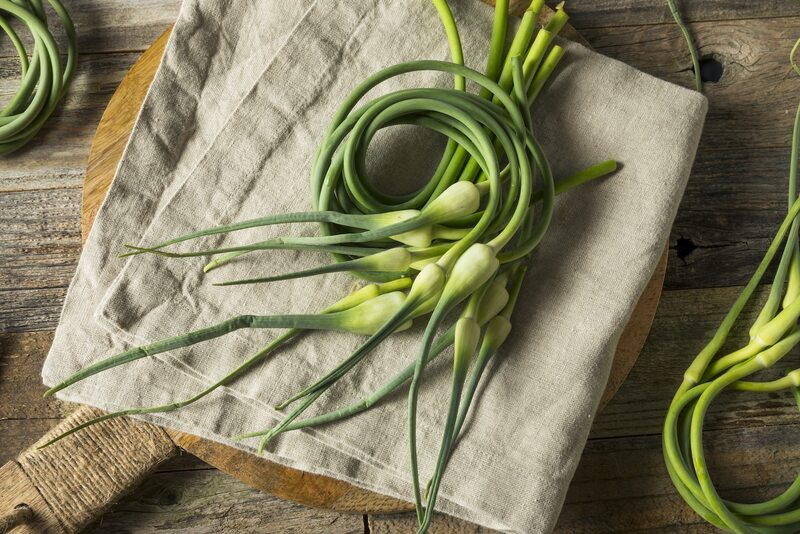 Below are some of the best ways to store garlic scapes to maintain that delicious flavor. 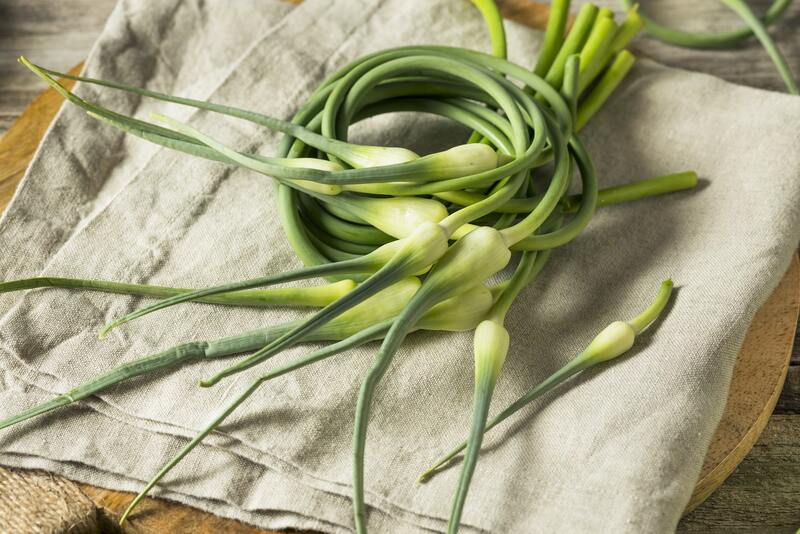 You can store garlic scapes the way you might store other herbs in the fridge. Just place the cut stems upright in a glass with some water. Think of them as being similar to cut flowers. Garlic scapes can last for two or three weeks this way. Remember to change the water periodically; daily is best. Another option is to wrap them in moist paper towels and place them in a plastic bag. The moisture from the paper towels can keep them usable for about a week. Garlic scapes are hardy enough to stand up to freezing. You also get to store them for a considerably longer time with this method. 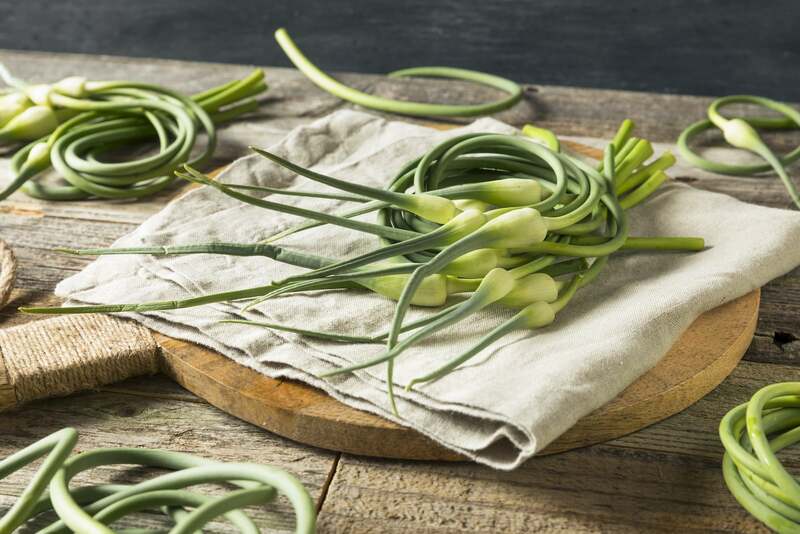 To freeze garlic scapes, wash them thoroughly then chop them into 1/4-inch lengths. Place them in a strainer and blanch by dipping them into boiling water for about 30 seconds. Blanching is standard procedure when freezing vegetables, especially those that have a firm texture and which are not likely to become soggy or wilted as a result. The boiling water kills any bacteria on the food item that may cause foodborne illness. After blanching, dip the scapes into ice water to keep them cooking. Spread them onto a cookie sheet and stick it in the freezer for about an hour. Freezing on the cookie sheet allows the scapes to freeze separately rather than clumping together as a solid mass — this will enable you to thaw only a few for use instead of all of them. Next, you bag all of your scapes in a freezer bag and freeze them. They can last for up to a year when preserved like this. 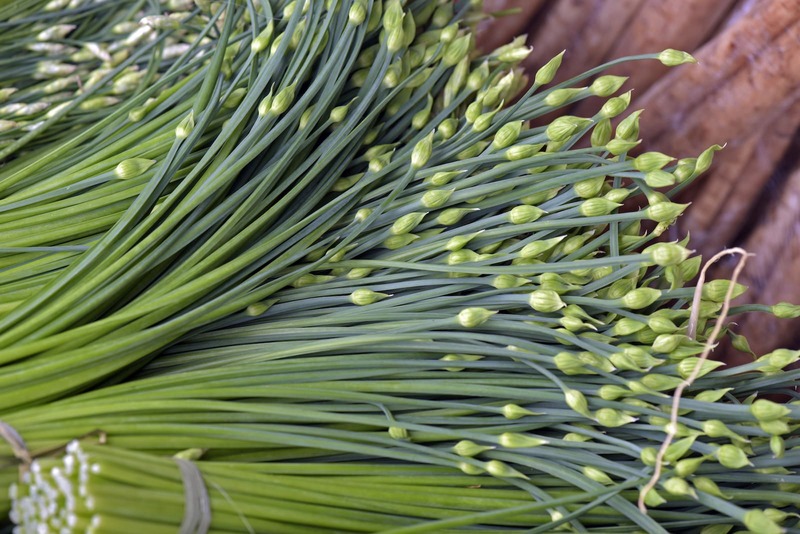 Garlic scapes are among the green vegetables that lend themselves to pickling. While garlic scapes are flavorful as is, pickled garlic scapes have a sharp and acidic tang to go along with their garlic flavor. The pickling process is relatively simple and begins with chopping and blanching the scapes just as you would if you were freezing them. Place them in a jar with a vinegar, water and salt solution. Store your pickled garlic scapes in a cool place for about six weeks before you use them. Garlic scapes stored like this can last for up to six months. You can preserve garlic scapes by removing most of their water content. Wash them and shake off excess water. Place the scapes in your food processor and chop them finely but try not to go overboard here. You do not want to make a garlic scape puree; you just want to get them into small chunks. Place them in thin layers on your food dehydrator’s trays and dry them on the lowest setting. It should take about six hours to dehydrate them fully. You can use dehydrated garlic scapes as-is or you can blend them into a powder that will give their light, garlicky herbaceous flavor to your dishes. Dehydrated garlic scapes can last for months in your spice cabinet if you store them in an airtight container, or years if you store them in the freezer. What's A Good Garlic Scapes Substitute?